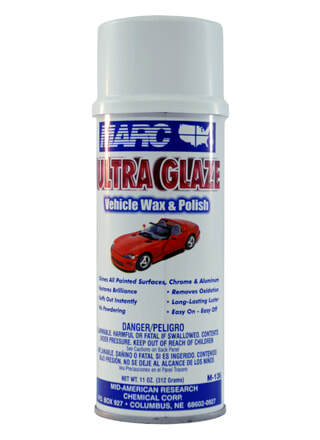 Ultra Glaze is the ultimate vehicle wax and polish. It shines all painted surfaces, as well as chrome and aluminum. It restores brilliance and removes oxidation. It contains carnauba wax and PTFE for enhanced shine. Ultra Glaze sprays on easily and buffs out instantly.